Artist’s impression of the WTP once work is completed in 2014. The existing plant; it has undergone many upgrades and improvements since first coming into service in 1906. Looking across the South Saskatchewan River towards Saskatoon in winter. The city includes more than 120 hectares of riverbank parklands - flooding in the spring and summer of 2007 led to new initiatives on wastewater. 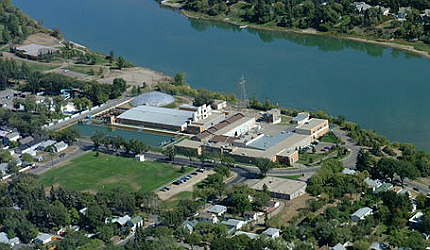 Aerial view of the plant; the adjacent South Saskatchewan River provides it with a high quality supply. 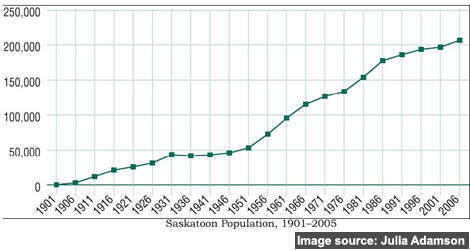 Saskatoon's population growth from 1901 – 2005; the city was incorporated in 1906, when the population was only 5,000. Now the largest city in Saskatchewan, Saskatoon's burgeoning population and industrial growth is placing increased demands on services. 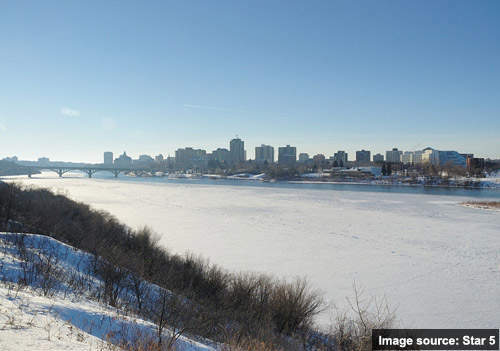 Saskatoon, a city located in the prairie province of Saskatchewan in Canada, is eight years into a ten-year expansion programme intended to prolong the useful life of its wastewater treatment plant (WTP) by a quarter of a century. To this end, water and wastewater projects accounted for some C$44m of the city’s proposed 2008 capital budget. Richard Miller Treatment Plant (RMTP) is a 240mgd capacity potable water treatment facility located in the California area of the city of Cincinnati, in the state of Ohio, US. The bulk of the 2008 funding went towards a new UV disinfection system and filter plant expansion at the city’s facility. The remainder was spent on plans designed to reduce sewer backups, improving wastewater collection and mitigating flooding, along with a series of maintenance projects. The UV system was budgeted at C$13m, with the filter plant upgrade and expansion expected to cost up to C$17m. The overall WTP improvement project had an estimated total cost of C$130m. In addition, the proposed 2008 capital budget allocates C$2.3m for wastewater collection and a further C$2m to alleviate basement flooding. Expanding the WTP allowed it to meet higher water quality standards and increase average production by almost 100,000 cubic metes each day. New initiatives on wastewater resulted from heavy flooding in the spring and summer of 2007. 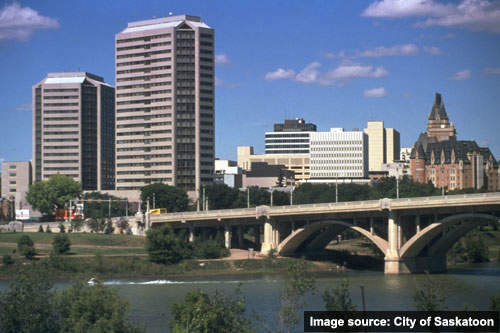 Saskatoon formally became a city in May 1906, with a population of 5,000. The city currently has nearly a quarter of a million inhabitants. 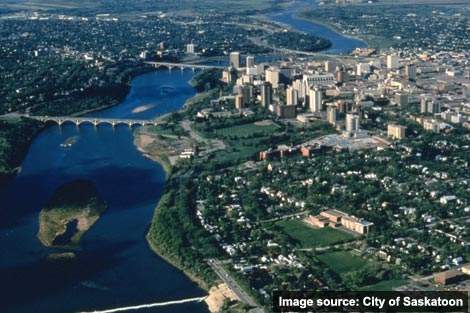 Located beside the South Saskatchewan River, Saskatoon covers 144 square kilometres and includes a large area of parkland along the river. The WTP was first built in 1906, using steam-driven pumps to draw water into a clay-lined sedimentation basin. In 1910, a rapid sand filtration plant – which remains in service to this day – and electrically-powered centrifugal pumps were installed. Since these first upgrades, the plant has undergone a series of expansions to meet growing demand with capacity trebling in the last fifty years. The current programme of works is intended to address further growth and changes in regulatory requirements. The South Saskatchewan River provides the WTP with its source water. The flow is initially screened before being pumped to the plant, where it enters sand filtration and is subsequently dosed with potassium permanganate and ferric sulphate. "The WTP supplies water to users beyond Saskatoon’s boundaries under a Master Water Supply Agreement to Saskatchewan Water Corporation (SaskWater)." Lime is added to reduce turbidity in the clarifiers and radial launders draw off the clear water from the top. Excess floc sludge is back-flushed to the river. The treated water is then dosed with chlorine and fluorine before flowing to the sedimentation tank for filtration. The WTP currently uses both rapid sand and sand / anthracite filters; the planned work at the filter plant includes upgrading the existing sand beds to dual media. The new UV disinfection system is necessary to meet lower chlorine standards put in place by provincial and federal authorities. The UV chlorination system was completed in November 2009, complying with the Canadian Environmental Protection Act. After around 30 minutes in clearwell storage, the water flows into the city’s distribution system. Process control includes full system alarm, data logging and reporting functions – installed during an earlier improvement scheme in the 1990s – and automatic chemical dosing. The final residue from the WTP, after undergoing the treatment process, is stored in deep ponds located 12km in the northern part of the plant and is later discharged to agricultural fields through a process called liquid injection. "The ten-year WTP expansion project began in 2004, with the construction of a new sludge handling facility and the relocation of the plant’s electrical towers." The ten-year WTP expansion project began in 2004, with the construction of a new sludge handling facility and the relocation of the plant’s electrical towers. This was followed by the completion of a new operations facility, the commencement of a phased upgrade of the chlorination system and the purchase of land designated to host the new maintenance building (with construction beginning the following year). The sludge handling facility was completed in 2006 along with a new pump-house and water intake. Reservoir capacity was expanded during 2007 to improve treated water storage. 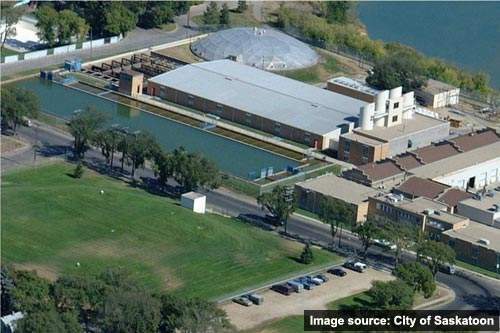 Upgradation of the wastewater treatment plant began after the city of Saskatoon was granted funding of more than $3.2m in 2006 by the Canada-Saskatchewan Municipal Rural Infrastructure Fund (MRIF). An additional $1.6m was contributed by the province. The grit and screen facility was upgraded using this funding, in 2008. When the project reaches its scheduled completion in 2014, the useful life of the WTP will have been extended by 25 years. 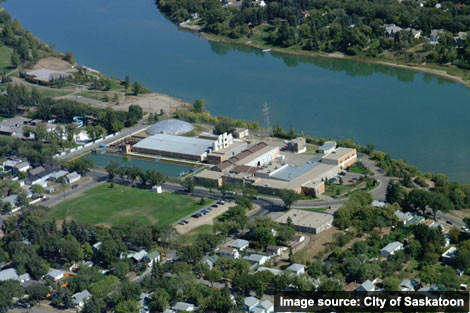 Saskatoon City Utility Department is responsible for the ownership and operation of the plants and infrastructure. 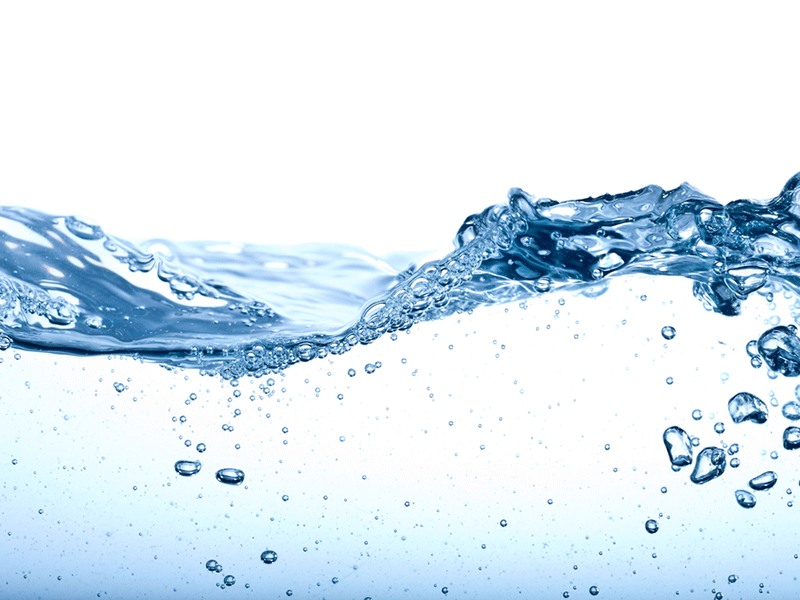 The WTP supplies water to users beyond Saskatoon’s boundaries under a Master Water Supply Agreement to Saskatchewan Water Corporation (SaskWater). Health Canada is the official body responsible for regulating water quality; Saskatchewan Environment is the permitting authority. Upgrades to the process control systems were made by Sceptre. Phase I improved automation and design and construction services were provided by Associated Engineering.